Learning games have long been used in adult education, and are particularly common in business education. This has brought up the question on how to design effective learning games to be continuously readdressed, often to emphasize some particular aspect as key to designing effective, game-based learning. Despite famous game-designer Costikyan's characterization of game-design as an art, rather than an engineering discipline, such studies all seem to look for a recipe for unraveling how to design effective learning games. 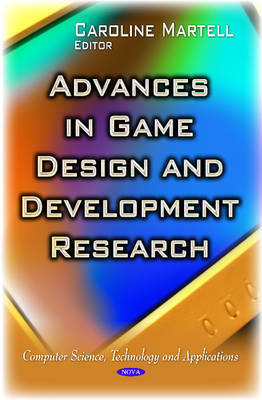 This book discusses topics on game design and developmental research. Some of the topics include game design and development curricula for digital literacies and 21st century learning; the role of metaphors in game-based learning processes; illustrative, iterative, interdisciplinary and design-oriented use of learning games in university teaching; the relationship between game volatility, house edge and prize structure of gambling games and what it tells us about gambling game design; and a gaming system for shoulder rehabilitation.